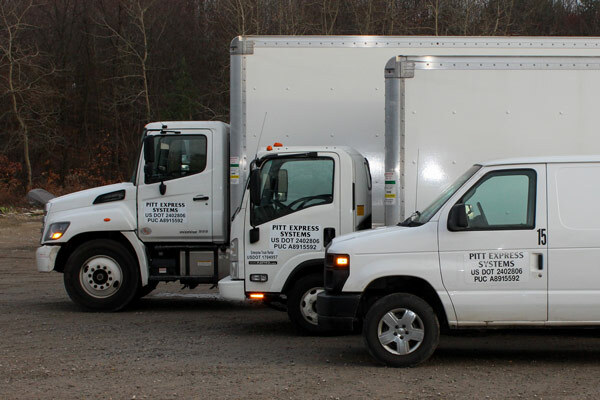 Pitt Express Systems provides airfreight, expedited trucking,	and regional cartage services in the Pittsburgh, PA. market. Located less than 2 miles from the Pittsburgh International Airport, we are perfectly positioned to provide time critical P&D services including airport transfers as well as pickups and drop offs at Forward Air and other facilities. We understand the importance of punctuality and professional service to our customers. For more information regarding our company and the services that we offer, please contact us at anytime.